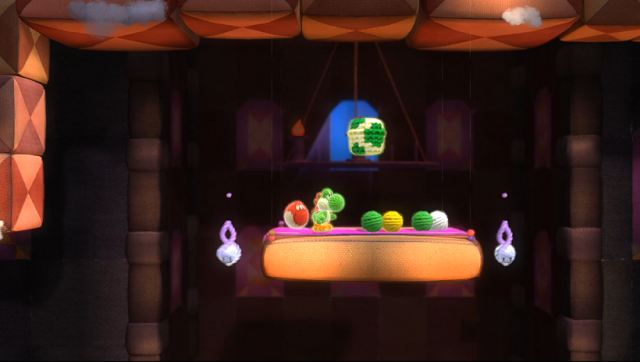 This announcement followed a hands-on session with Yoshi’s Woolly World, which is shaping up to be a crafty little platformer. Watching the Nintendo Treehouse guys play a level together reminded us of New Super Mario Bros. Wii’s co-op hi-jinx, and certainly looks to be as much fun with a friend. Roll on 26th June! Later in the Nintendo World Championships, which saw sixteen gamers compete in the likes of Splatoon, Super Smash Bros. and Mario Kart 8, Nintendo unveiled a brand-new first-person shooter for Nintendo 3DS – but it’s not what you’re expecting. BlastBall is a 3-versus-3 competitive game of football, whereby – at least in this tournament – the objective is to be the first team to score three goals. In true Nintendo fashion, there’s power-ups which give players an advantage, while the opponents’ goalposts shrink each time you score. 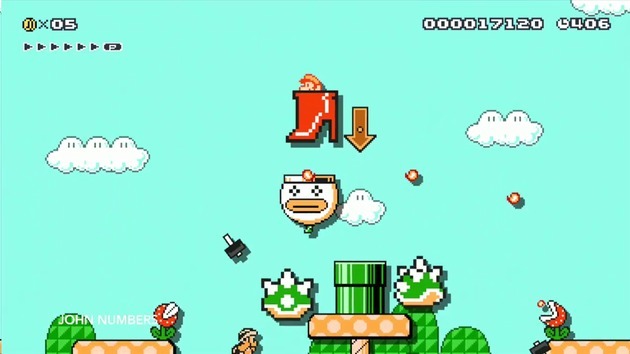 The tournament boiled down to a head-to-head race through four levels in Super Mario Maker – each one cruelly and intricately designed by members of the Nintendo Treehouse. 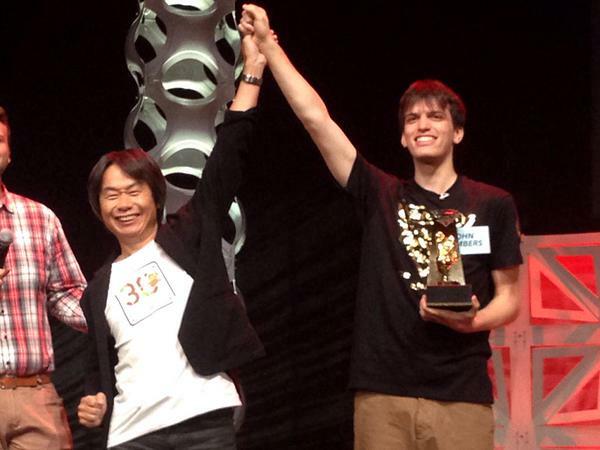 In the end, John Numbers took the edge over Cosmo, winning the coveted golden Mario statue (which is sadly not an amiibo), with both finalists taking home a New Nintendo 3DS XL, signed by Shigeru Miyamoto himself. This entry was posted in News, Out This Week and tagged BlastBall, E3 2015, EarthBound, EarthBound Beginnings, Good-Feel, Mother, Nintendo, Nintendo 3DS, Nintendo eShop, Nintendo World Championships 2015, Reggie, Super Mario Maker, Wii U, Yoshi's Woolly World. Bookmark the permalink.